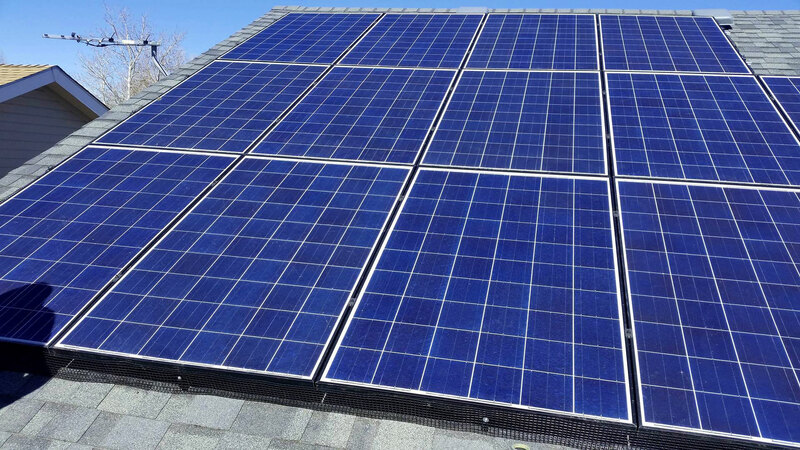 When you’re ready, our professional installers will handle every aspect of the installation of your new solar energy system, including permit documentation, rebate application processing, and interconnection with your electricity provider. We feature tier 1 panels with industry leading power tolerance and the best price-to-performance ratio and fast return on investment. When aesthetics are a key concern, ask about all black panels. pattern will follow in Colorado. Contact us today to get a Free Site survey and a proposal regarding solar for your property. We can also provide Energy Audit services for commercial and residential buildings. For Commercial locations, it can sometimes require outside help to fully understand the driving factors of your electric bill and particular rate structure. Our test equipment can identify energy usage patterns over the course of several days to identify anomalies. There are many non-financial sound reasons to install solar on your business or home now. Decreasing your carbon footprint, gaining energy independence and doing your part for a cleaner, brighter future are all great reasons to go solar. However, given the tax advantages and local incentives available, it could well be the safest, long-term investment return you can achieve … by a long shot. When you consider these four driving investment principals, and review the math, a solar electric system may help you sleep better at night than you have in a long while. There is not a cap on this tax credit and it can be taken over several years! 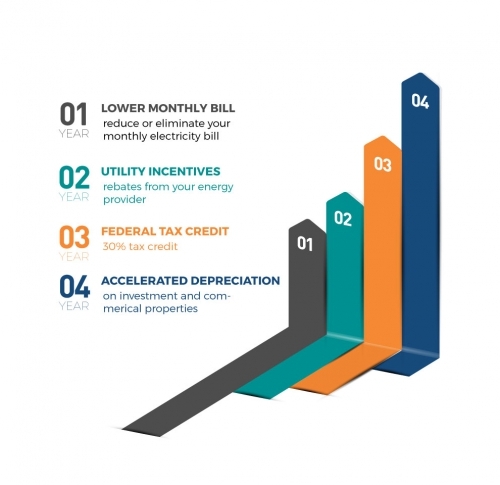 Legislation extending the Solar Investment Tax Credit (ITC) extends the 30% credit for both residential and commercial projects through the end of 2019. There is not a cap on this tax credit and it can be taken over several years. For a detailed list of available federal incentives click here. or REC Payment. Systems from 25.1kW to 500kW receive up to a $0.05 per kW/hr REC payment for all energy produced by your system – for 20 years. These REC payment amounts reduce every few months and may eventually be unavailable. So it is important to act right away to take best advantage of the highest reward you can achieve. To learn more about the Xcel Solar Rewards program for Solar Power Systems in Colorado, call us for all of the details or visit this link.